Ok, for starters, yes, I am thoroughly aware there is a “I” in funding. But, just like there is no “I” in team (regardless of how overused that saying is) your fund raising success is most certainly not a one man show. You’re going to need help. The only founder who can say his funding round wasn’t a team effort knew his/her investor, they were buddies, they had a conversation over drinks and a scribbled napkin and then $millions were deposited into his/her bank account the next day. That founder can say it was all them; but that is the .0001%. Wouldn’t it be nice if it were that easy? But if you’re like the rest of the 99.9999%, your funding round will take a village. An important person in that village? Your pitch coach. What is a Pitch Coach? A pitch coach is, much like a real coach, the expert you work with while you practice. They help you perfect your skills, fine tune your approach, get the muscle memory you need to really shine when you’re on the field. Your coach is an outside perspective, a guide post, a vehicle for your improvement and success. When you get ready to pitch your startup for funding, either to investors directly, or for a larger audience at a pitch competition or pitch event, your pitch coach can help you be more successful. They can make sure that you are sharing the right information about your company, that you are not missing any key pieces of content. They listen with a critical eye, from the point of view of your audience, often a potential investor. They help make sure you tell a story and engage your audience, that you have a clear flow and keep the audiences attention throughout the pitch. Keeping an eye out for where there are stilted or awkward transitions between topics or subtopics. They give you feedback on how you speak publicly–your presentation or public speaking skills–by pointing out and providing recommendations to resolving your issues with filler words, physical nervous ticks, tone and volume of voice. They should also review your pitch deck and any visual aids to provide feedback on the design and execution of these documents in concert with your verbal pitch. Essentially, your pitch coach will be a knowledgeable, well-rounded pitch expert who can help you to fine tune and perfect your pitch.  They are comfortable getting to know you and your company and providing feedback and follow up sessions to ensure that you are ready to shine on the day of your live pitch.They are your advocate as you practice and prepare for your pitch. In the years we’ve been reviewing pitches and coaching founders, NOT A SINGLE PERSON HAS EVER PRACTICED ENOUGH. That’s right, let me repeat that, not a single founder practices enough for their pitch. They don’t spend enough time with their deck, they don’t know their numbers, they aren’t fluid and conversational in the pitch, they stammer, they slip up, they make distracting arm movements, they say “um”. They simple do not practice enough. And I get it. Startup founders are often extremely busy, wear a ton of hats everyday, and are often procrastinators when it comes to preparing to pitch. They think: “I have a stellar company, showing solid growth, a huge market, an awesome team, what can go wrong? No practice needed. Bad decision. You need to practice more. Practice like you’ll play. The only way to make sure that your as ready as you can be for any pitch that comes your way, is to have done it before. It’s the only way to quell your nerves, slow your natural adrenaline, and pitch successfully. Through yourself in the deep end as much as possible. This is why we have pitch competitions. And pitch coaches. Make sure that you practice in front of strangers. Or at least in front of human beings. Talking through your pitch as you sit at your computer will never be the same as a real-world scenario. Make sure you stand, use a clicker, practice in the exact room you will be pitching in if you can. Record yourself to get your adrenaline flowing. And DO NOT break character. You won’t be able to rephrase something in a really pitch, why do it in practice? Practice like you’ll play. A pitch coach can help you do this. A heads up, I’m pretty sure the entire world will fall into at least one of these buckets. So, if you want the short answer and want to skip to the next section… Are you a human? Are you planning to pitch? You need a pitch coach. Period. During a pitch coaching session, you should have the opportunity to pitch live for the coach either in person or remotely over a web conference. If you don’t this live practice session, it is not valuable. Anyone can hear how to pitch, it is the doing that helps you learn and get better. Only the doing. The pitch coach needs to see both you in a webcam pitching, as well as your projected or screen-shared slides if you have them. They will give you either verbal or written feedback and key recommendations on how to improve. You will likely benefit by working with the same pitch coach over several sessions to fine tune and perfect your pitch, all while getting much needed practice in. Be sure to practice in between sessions, and be fully prepared for each follow up session to make sure you get the most out of working together. Choose a pitch coach who is experienced in funding and fundraising. One who deeply understand the investors perspective and what they are looking for in a good investment. Do not choose a pitch coach who does not know your audience / pitch type. There are many coaches who can help with the act of public speaking alone. Heck, toastmasters can be a good place to test your chops at speaking in front of other people. But if pitching were ONLY about speaking effectively in front of other people, a lot more people would have funding than do. It is hard to speak in front of other people, I am not knocking that, and offering that kind of coaching is an important element of pitch coaching, it just missed the mark on it’s own. Investors are a particular animal, and the way to speak to them can be drastically different than other audiences and may be out of the capabilities and understanding of a strictly “public speaking” focused coach. Similarly, look for a pitch coach who has experience with and an understanding of good design. Even better one who has or additionally puts together pitch decks for clients. Why? Because they will have the skill set to provide actionable and effective feedback and recommendations for improving you pitch deck and visual aids. A good pitch deck that goes along with you pitch can help to keep your audience’s attention, provide deeper insight and information, and give you more presence and a professional put-together appearance. A bad deck will do the exact opposite. Even the very best pitch, delivered perfectly, can be irreparably harmed by a bad pitch deck. Your pitch coach should be able to provide a through and well rounded review of not only your pitch but the deck you are using as well. A big benefit to working with a pitch coach can be to force yourself to proactively prepare and practice your pitch. Look for a pitch coach who offer pre-schedulable pitch review sessions. Or who offer bulk pricing for signing up for multiple sessions ahead of time. Also, look for a pitch coach who fits your budget, keeping in mind the true value of a better pitch. It often means the difference between acquiring funding and leaving empty handed, and at the very least, a shorter fundraising round. Funding rounds can take up to 2 years to close, so cutting this time-frame by even half can result in substantially less runway (read $$$) lost while looking for funding. Who Else is in my Funding Village? As pitch experts, we proudly offer pitch review & coaching services. Our pitch reviewers are extremely knowledgeable. We’ve worked with everyone from concept stage companies preparing to pitch at local pitch competitions to startups seeking seed and series A funding, up to teams of intraprenuers at billion dollar tech companies. Our services include a review of your pitch content, the story and flow of your pitch, recommendations on your deck design, and public speaking skills. We even record your session providing you with a video file to game-film as well as a pitch report card. Our services can be provided in one off pitch reviews, or purchased in bulk for a series of review sessions to prepare you for your upcoming pitch. Find out more and book your session here today.